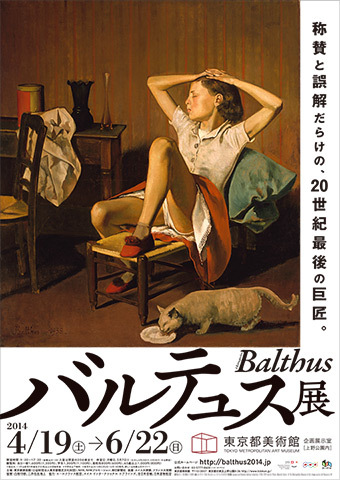 One of the reasons I love Tokyo is the numerous great art exhibitions they have! Here is a list of major art exhibitions I attended from Jan 2014 till now, with some short comments on each. I love the MOT building, and it is one of my favourite space in Tokyo. So, decided it was a good and relaxing way to ring in 2014 by visiting it and seeing "Crystalize". I am not a huge fan or modern and installation art, but liked his work that I saw a couple of years back at Mori Art Museum's "Sensing Nature". I was a little disappointed in the limited number of pieces on display, but overall, I enjoyed my time there, cause the space and his works provided me with a sense of pure positive clarity, and calmness that I often lack in my everyday life. A truly extensive retrospective. I don't think that you have to appreciate his work or style, but you do get an insight into his brilliant commercial (i.e. money) drive creative mind. You would never get any museum-zen from this exhibition, since it was definitely an overwhelming and stimulating one! 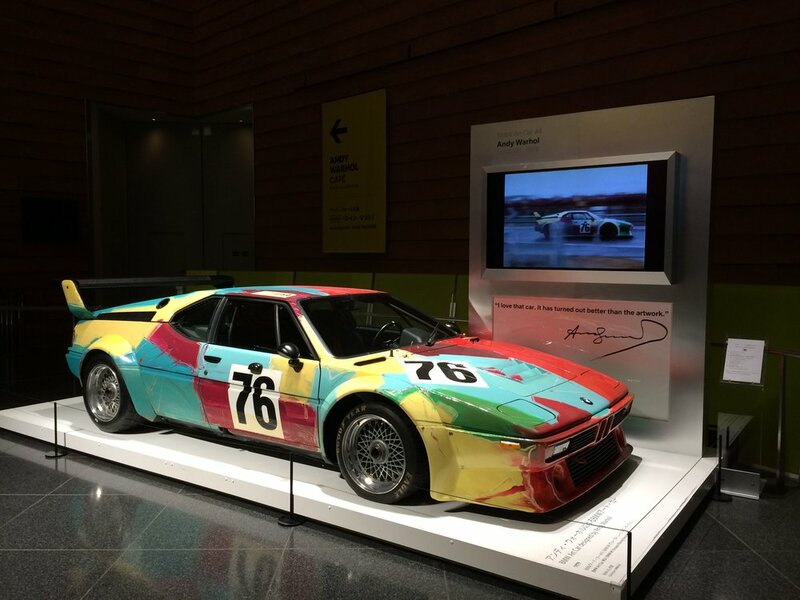 Best of all, attendees got to see one of my favourite cars--the old school BMW M1, the inspiration of the BMW 8 series back in the day, that Warhol painted! Just as the name of the show suggested, everything was beautiful about it. There was not one thing that wasn't beautiful on display. It was the highlight of Edwardian era's obsession with beauty, and not in a bad way. I love the Edwardian period, as with the Art Nouveau, be it art, jewellery, or fashion. The show really was "art of art's sake". You can call me vain or overly romantic, but I would still tell you, I liked it. 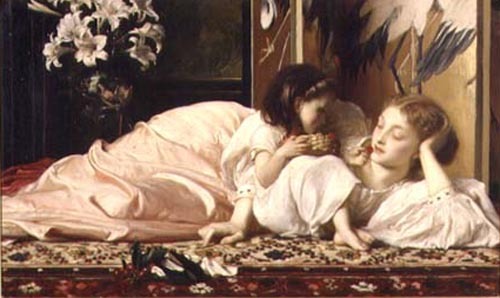 My favourite piece was Mother and Child (Cherries) by Frederick Leighton. Was lucky that I got to see the exhibition on its very last day! It has been over ten years since I last saw the national treasure, Wind and Thunder Gods screens by Tawaraya Sotatsu at the old Suntory Museum when I was first in Japan. Am happy to have gotten free tickets and see the the screens again. I will be honest though, I don't know too much about the history of Buddhism in Japan nor have lots of interest manual scripts and scrolls without images. What was impressive was seeing various paintings by Kaiho Yusho. When I first started art, I was learning Chinese watercolour and ink painting, so I understand the difficulty and beauty of his work. His strokes were strong, beautiful, brave, and his sense of balance/usage of tones was amazing. Unlike Western oil or even watercolour paintings, there is no way to correct anything you do. You really have to see his work in person to appreciated it. I was also very happy to see the famous Plum Tree and Rooster in Snow by Ito Jakuchu. A highly skilled artist, with a slight dark side--seeing his scary looking cats and some of the blank eyes of his figures easily gives that away. But if you are in need of a dose of classic yet modern art, please see this show. Some of his pieces reminds me of Japanese manga (comic books) and anime (animation). And if you go, try to spot his usage of triangle-shaped leg positions of his subjects--it really stands out!